Is there a way to automate inserting the slide title ( slide title name) into the slide without having to retype it manually? For example if the slide is titled "introduction" and I have a text label on the slide that matches that, if I change the slide title name can the text label automatically pick up that change? Do you mean typing a title, say at the top of the screen (in a text field), will then automatically replace the name under the slide thumbnails whenever it is changed? 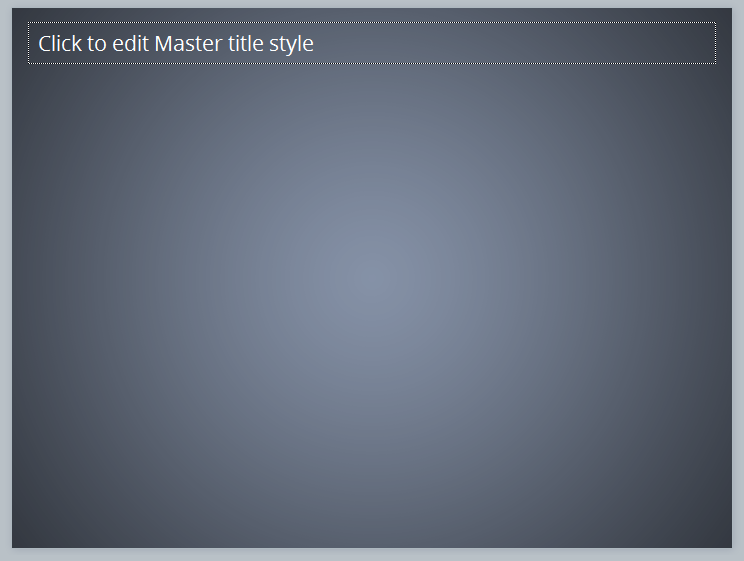 That is possible through the use of a master title placeholder in the Slide Master View. Also, if you go into Player Properties and in the Menu section, changes here will only affect the menu itself. But you can click the "reset from story button" under the menu list. That will update all of your slide names to match the title names that are under the thumbnails in your course. All you need to do is check the little title check box in the Slide Master view. It will automatically add the title text field. This seems to at times to have no effect in an existing project. So my advice is to open a second instance of SL2 and start a new project and do the above in that. Then just copy and paste this title master into your existing project. So today I discovered the simple thing you need to do in order to fix a title slide in SL2 to work the way you were asking. Just change the name to "Untitled Slide" directly under the thumbnail. It will then auto change to the temple title placeholder if present on the slide. So if you already have a title in the MS is should auto update to the slide title name. But if you don't have it in the MS your currently using, switch the slides MS or add the text field by coping one from another slide that has a working one. This is brilliant - thanks for this top tip! Glad that this was able to assist you as well Scott :) Thanks for popping in to share. "So today I discovered the simple thing you need to do in order to f..."
"Do you mean typing a title, say at the top of the screen (in a text..."
"All you need to do is check the little title check box in the Slide..."